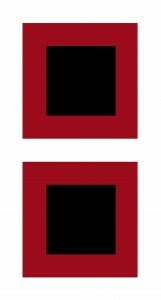 The 2010 hurricane season is upon us. The 2010 hurricane season for the Atlantic Ocean runs from June 1st through November 30th. This affects the eastern as well as gulf coasts of the US as well as the Caribbean and these are Hurricanes are a specific threat to Florida. Whether or not you have lived through a hurricane before yourself or not, the horrific damage and devastation in recent years should be warning enough for Florida residents to be extra prepared this year. In fact the 2010 hurricane season is expected to be even worse than feared and forecasts predict one of the worst and most dangerous hurricane seasons for Florida yet. Forecasts and predictions have recently been revised and there are now expected to be up to 23 named storms that could threaten Florida this season according to a recent Fox News article and the NOAA (National Oceanic and Atmospheric Administration). Predictions by Colorado State University predict that 10 of these storms could become hurricanes with a handful exceeding 111 mph, making them category 3,4 or 5 hurricanes. According to news agency Reuters, scientists estimate the chance of one of these hurricanes making landfall is an incredible 76%, a 24% rise over recent years. The chances of a hurricane hitting either of Florida´s coasts is set at 51% for each side meaning that you need to be equally prepared whether you are in Miami, West Palm Beach, Sarasota or Tampa. Not only should Floridians be even more concerned this year due to the above forecasts but a hurricane hitting the gulf could pose even higher risks than normal due to the BP oil leak. Experts state that a hurricane hitting the Gulf of Mexico and Florida´s west coast could mean oil and the chemicals that are being used to treat the spill coming ashore, not only affecting the beaches but plants and homes as well. Clearly hurricane preparedness for those in Florida is even more crucial this year than ever. Besides ensuring you have extra supplies and an emergency kit to help you get through the hurricane and difficult days afterwards it is just as essential to double check your homeowner´s insurance, make sure it is up to date and gives you sufficient coverage including any improvements you have made to your Florida property. Remember that insurance companies are not on your side. They are some of the most profitable businesses in the world because they are good at minimizing the chances that they have to pay out and in the case they do, minimizing the amounts they pay out. When a hurricane is about to hit it is too late to revise your insurance or get a new policy. The time to make sure you are protected is now. If your home or business is affected by hurricane damage then it is important that one of your first calls is to an experienced attorney who can help make sure you get all that you deserve. So as part of your hurricane emergency kit be sure you also have the number for the law firm of Finebloom & Haenel who specialize in fighting on the behalf of hurricane victims.